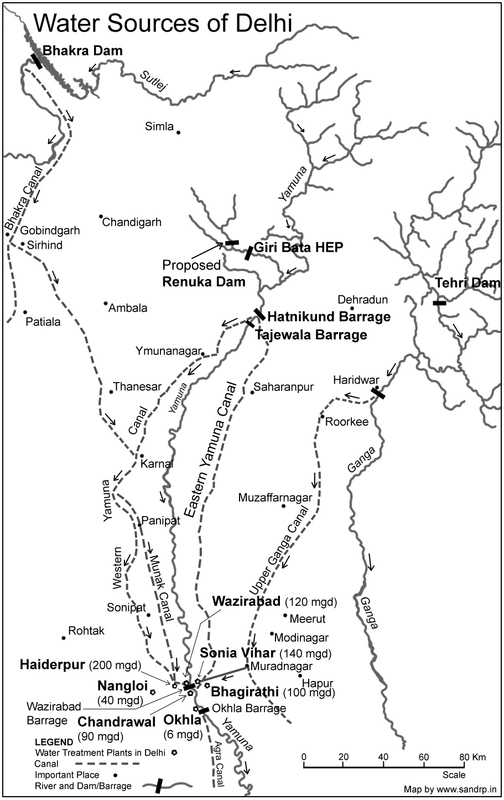 The Renuka Dam project has been conceived as a drinking water supply scheme for the National Capital Territory of Delhi and envisages the construction of 148 m high rock fill dam on river Giri at Dadahu in Sirmaur district and a powerhouse at toe of the dam. While 90 per cent of the project cost will be borne by the Delhi government, Himachal Pradesh will bear 10 per cent of the cost. The project was scheduled for completion by November 2014. The project construction was stayed by the National Environment Appellate Authority/National Green Tribunal in 2010-11 due to objections on the Environment Clearance granted to the project. The project costs have shot up from ~3,572.19 crore to ~ 5,000 crore over the past few years. 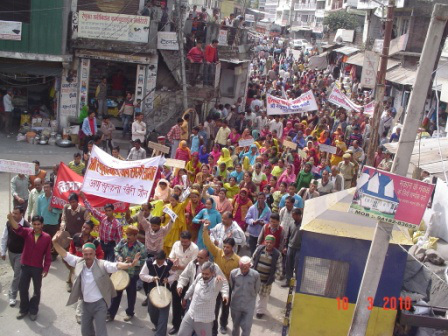 The origins of the project in fact go back to May 1994, when the governments of Himachal Pradesh, Delhi, Haryana, Uttar Pradesh, and Rajasthan signed a memorandum of understanding (MOU) for the utilisation and allocation of the waters of the upper Yamuna River which included the Renuka storage dam to be constructed in Sirmour district of HP. The MoU says that the state agency, HP Power Corporation Ltd (HPPCL), will construct, operate and maintain the project while Centre will fund it. 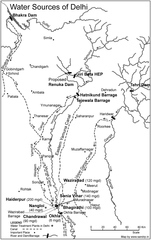 However, there is evidence that this dam had been proposed back in the '60s as a 40MW hydroelectric plant that was found not viable at that time. Later on, the purpose of supplying drinking water to the capital was added to the project proposal. As of today, the dam is being promoted as an "urgent" measure to tackle Delhi water crisis (the “urgency clause” -Section 17-4 of the Land Acquisition Act 1894- was used during the land acquisition process and this way the dam authorities did away with the landholders’ right to file objections against land acquisition). Critics of the project have raised questions about the “urgency” associated with the project and its connection with Delhi’s water scarcity . To justify the project, local politicians from both the Congress and the Bharatiya Janata Party (BJP) have been making promises about bringing much-needed development to the "backward region”. What was unmentioned was the land to be acquired by the project, be it private, common or forest land. This has become the main issue, which is still debated. The total agricultural land to be diverted for this project is 1,231 hectares belonging to 32 villages. The dam and its reservoir will submerge 909 ha of reserved forestland, including 49 ha of the Renuka Wildlife Sanctuary (RWLS) . The total agricultural land to be diverted for this project is 1,231 hectares belonging to 32 villages. Ministry of Environment gave clearance for the diversion of forestland and the Environmental clearance is challenged at the NGT. Development of Alternatives For improving water supply system in Delhi: repair and improve conditions of water pipes in Delhi, reduce consumption, apply a fairer distribution. At local level at Renuka: mobilizers agree they don't need the dam for local economy and want to protect their fertile fields and fisheries in the river. Why? Explain briefly. The Ministry of Forest and Environment gave clearance in March 2015 for the diversion of forestland and the Environmental clearance is challenged is at the National Green Tribunal. The court has stayed the construction of the project in the meanwhile. However, besides legal procedures and tools to challenge the dam project, the questions of whether the Renuka Dam is the only answer to Delhi’s water crisis and what are the underlying causes of a water crisis in Delhi remain unaddressed.